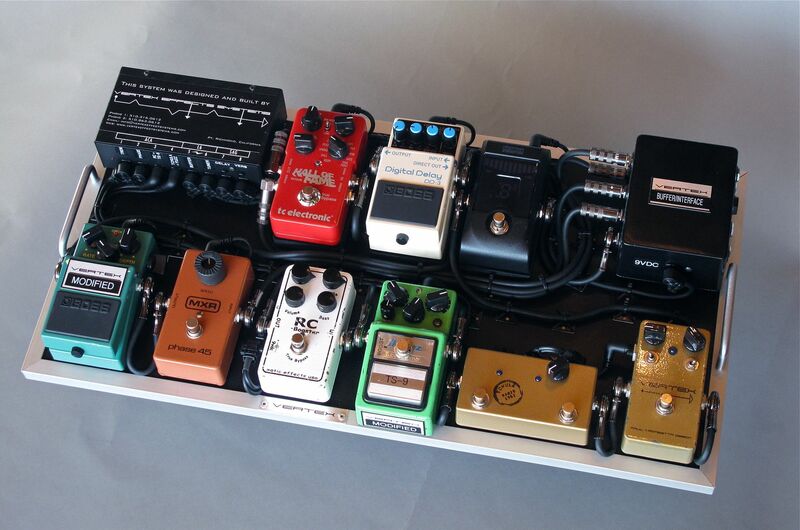 Here is a pedalboard that I did for Kirk Fletcher. For the last two years, Kirk has been using a larger pedalboard that I built for him, however he was finding that with frequent trips to Europe and smaller sit-in gigs around town, that having a pedalboard with everything on it wasn't very practical to transport. 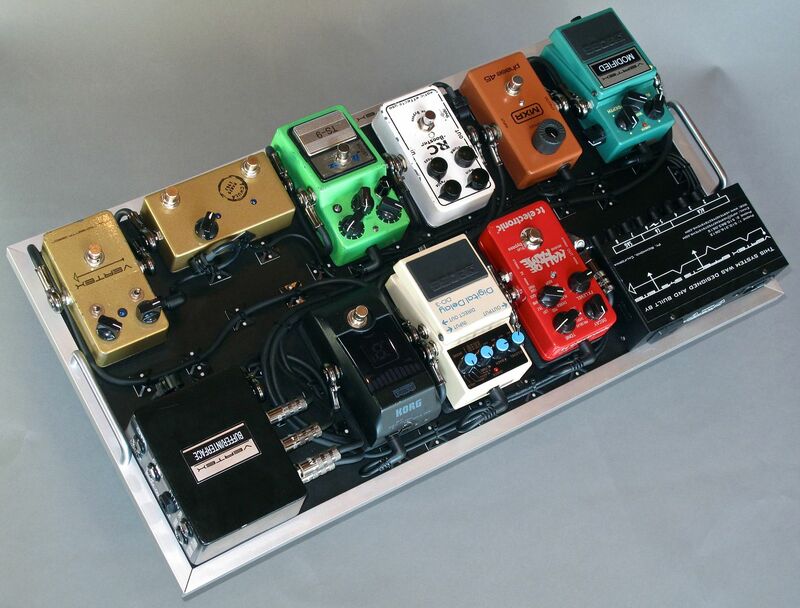 This pedalboard is smaller and incorporates some of the same pedals from the previous pedalboard, but also a few new ones based on Kirk's requests.